Most people prepare for a snowstorm by going to the grocery store and stacking firewood. We all know it’s important to have food, water, and heat. However for a rancher or farmer it becomes a lot more complicated. My husband watches the weather daily. When the storm is predicted weeks out he begins watching to see how it’s changing, how much snow is predicted, and the temperatures. All of these things factor in how we will prepare the cows and ourselves for the storm. 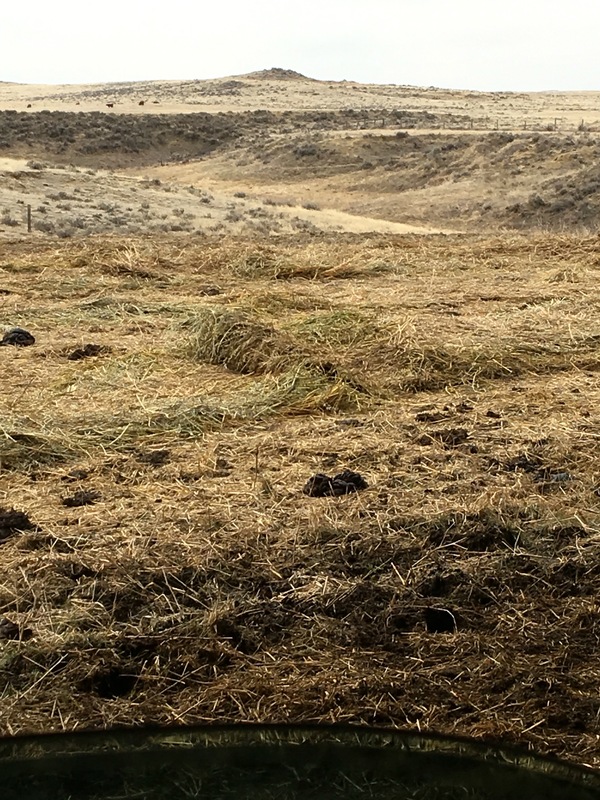 If you are farmer or rancher, you know all of the things that are contained in this article. 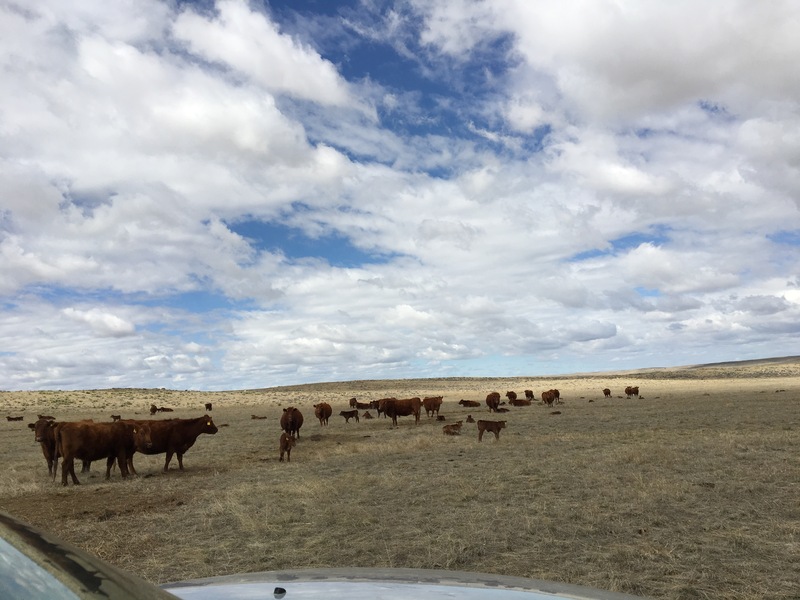 If you’re not then these things maybe things you were not aware of that farmers and ranchers have to do to ensure that all the cattle are safe and protected as best they can be in a severe storm. One thing that changes is the condition of your cattle. If you are calving you’re going to treat a storm differently then if you’re not calving. This last storm we were beginning to calve. We already had multiple calves on the ground and many more close to being born. This places more importance on getting everything ready before the storm hits. This last storm was predicted to hit on Tuesday evening. Therefore our work began on Easter Sunday. Yes, when many of you are getting in your Easter finery to go to church and enjoy the day with family, my husband and my daughter were on horseback working cattle. I had knee surgery and therefore I am little help currently. So we had to utilize when the kids were home to get cow work done. When cows are close to calving we sort them into pastures closer to the house so that if there is a situation where they need help we can readily get them into the clinic or into a barn. This is called working off the heavies. 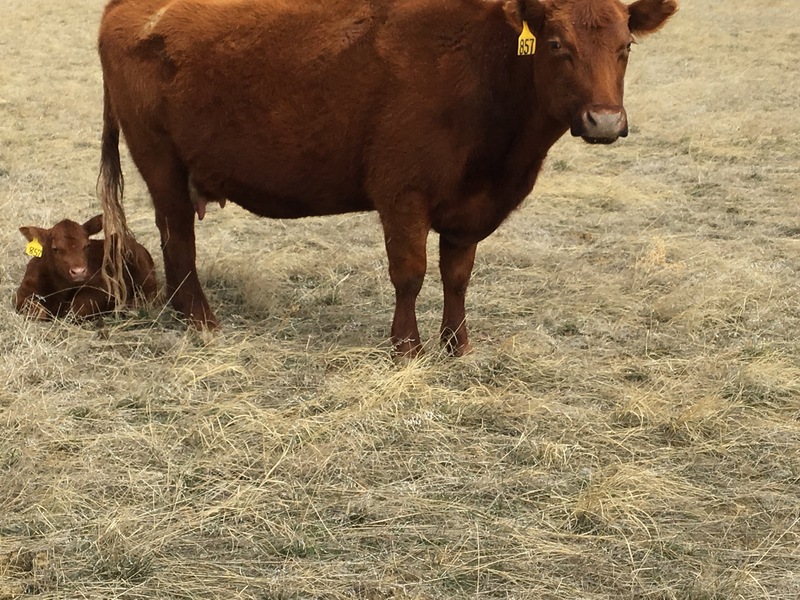 A heavy is essentially a cow that is showing signs that birth is getting close. We look for things like their bag is filling with milk and their bottom(putting it tactfully) is loose and relaxed. Most important JJ knows almost all the cows but the ones that have come up from the other ranch, so he remembers how they looked before they calve. He remembers this one doesn’t show much milk but she will calve early, or this one has a bag but her bag will be huge like a milk cow before she calves. There are a few other signs that enable us to work them off from the others that have awhile to go. After they worked them on Sunday, we moved the ones that were close to calving into the shed pasture and the other larger bunch was in the meadow. 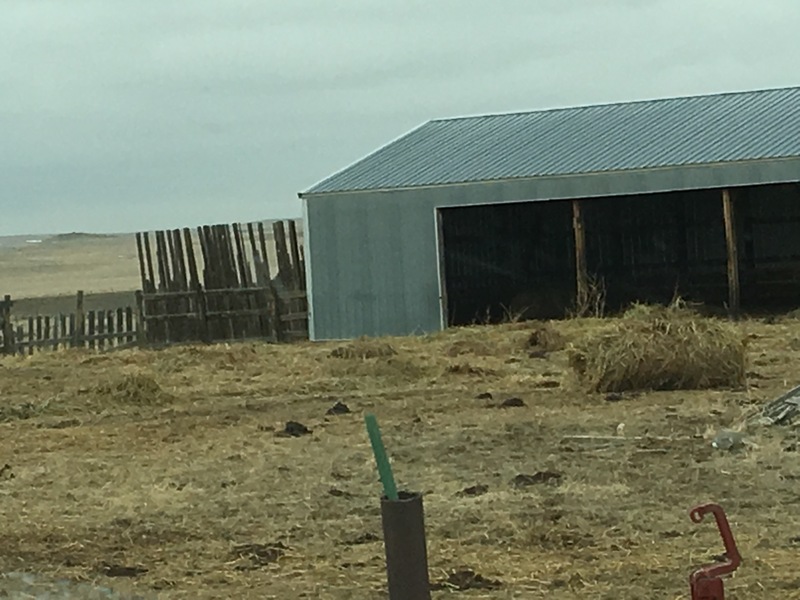 Both of these places have shelters that we can put the ones that we really think are going to calve in the next few days inside so that their calf has a higher chance of surviving the expected storm. Monday was a day of preparing the shelters getting everything where it needed to be. Feeding all the cows that were turned out, extra good so everything was fed and moved closer to a draw, so they can get down on Tuesday and have some protection. Tuesday morning was a rush of getting things done. The storm was expected to hit by midnight so everything had to be in its place ready to go. The barns needed to have hay so that the cattle had food during this 12 to 24 hour period. If he it did turn into a blizzard then we would more than likely would not be turning anything out. Therefore everything had to be in place because we would not be able to get tractors over in a blizzard. We set up panels in front of the openface shed. We could put the 38 head that we worked on Sunday inside. Two head had already calved Tuesday afternoon so they were moved into a stall hopefully they would stay inside and not escape out into the blizzard. On the other side of the creek we had the large bunch of cattle and we worked those again to sort off the heavies that we thought would calve that night or the next day. We spreadout hay and got everything ready. At dusk we ran everything into the barn everything was in place to hopefully survive the storm. Throughout the night JJ went over and check the cows in the barn to see if any needed to be put in the stalls or if anything has calved outside. The storm came it wasn’t as bad as expected the kids were out of school, but it wasn’t the blizzard that was called for. However everything was well protected we didn’t lose any calves and the cows were well cared for during the storm. The weather is now in the 50s-upper 60s and the cows and calves are doing great. Previous Article At Last… Gas! I hate spring snow storms during calving. We’ve survived some bad ones and I always hate the thought of another. The worst one was in May and it wasn’t forecast so we weren’t prepared as well as we could have been…a horrible two days.